You consider yourself a good driver so a quick glance at that text you received, or changing the song on your driving playlist is no big deal for you. But the truth is, no matter how much driving experience you have, nothing can save you from the dangers of using any sort of device while driving. 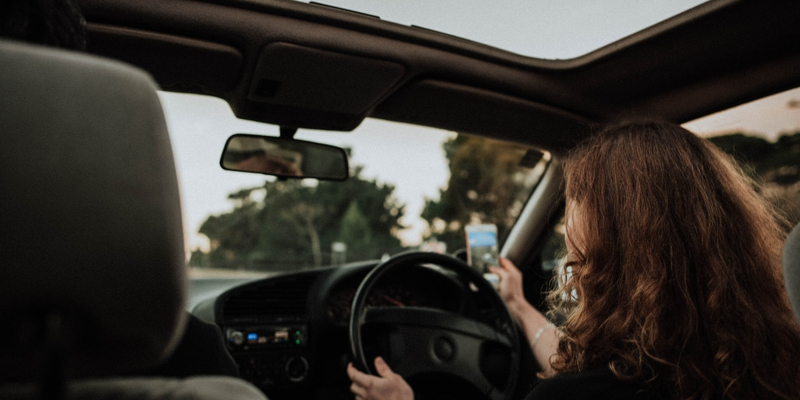 On January 1st, 2019 – new laws and harsher penalties for distracted driving came into effect in Ontario to make drivers aware that they need to start taking distracted driving very seriously. While there are no real numbers to show just how often cellphones are to blame for fatal accidents, experts do agree that any sort of distracted driving is a major growing concern. Anything from texting, to eating, to applying makeup are all forms of being distracted. According to research from the Virginia Tech Transportation Institute, taking 5 seconds to send or receive a text while driving at highway speed is equivalent to travelling the length of a football field while blindfolded. One of the most important ways people detect danger is of course, through visual observation. To drive while visually distracted means taking your eyes off the road and not seeing potential problems ahead. Studies have shown that visual distraction caused by activities such as texting, or dialing on a cellphone can increase driving risk which makes you five times more likely to have a collision to 23 times more likely to be involved in an unsafe driving event. Your brain can only process so much information at a time. Many drivers attempt to perform multiple tasks at once which then causes these multiple tasks to compete for you brains attention. These mental distractions – also called cognitive distractions – can contribute to the driver’s inability to fully process the visual scene. There are certain times when it is not your actions as a driver that lead to dangerous situations, but the actions of others. As a driver, there are tips you can use to be proactive to protect yourself and your loved ones. 1. Assume you are invisible. It’s easy to assume that every driver around you is following traffic laws and is paying attention to the road. However, that is not always true. Never assume that other drivers will respect that it is your right-of-way, or that they are on the same page as you and will let you merge into their lane. 2. Avoid aggressive driving. It’s important to always resist the urge of driving aggressively. Instead, go with the speed of surrounding traffic and be a defensive driver. Always have the goal of trying to get to your destination safely. 3. Control your emotions. We get it – road rage can get the best of us. But always remember to take the high road. Be patient, keep a safe following distance, and avoid confronting aggressive drivers. 4. Lead by example. Changing social norms around distracted driving starts with good drivers setting positive examples for others about what is, and what is not, socially acceptable behaviour on the road.